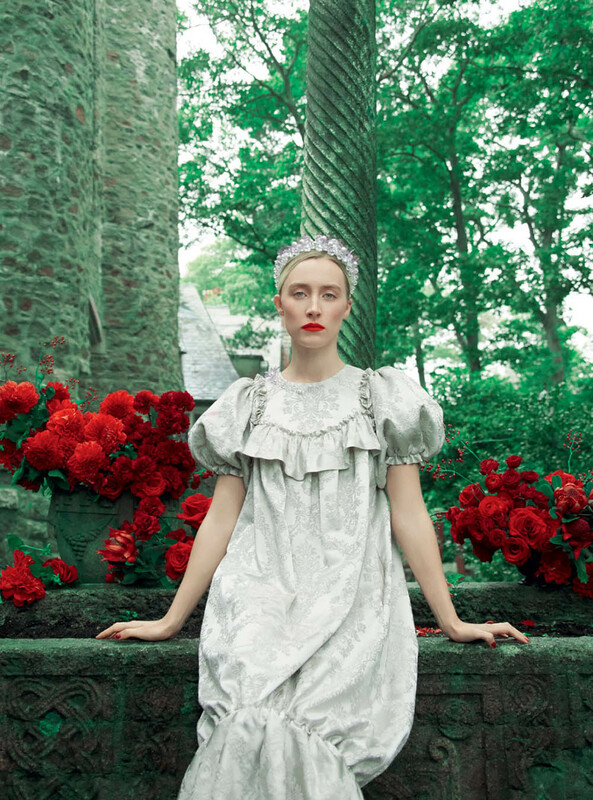 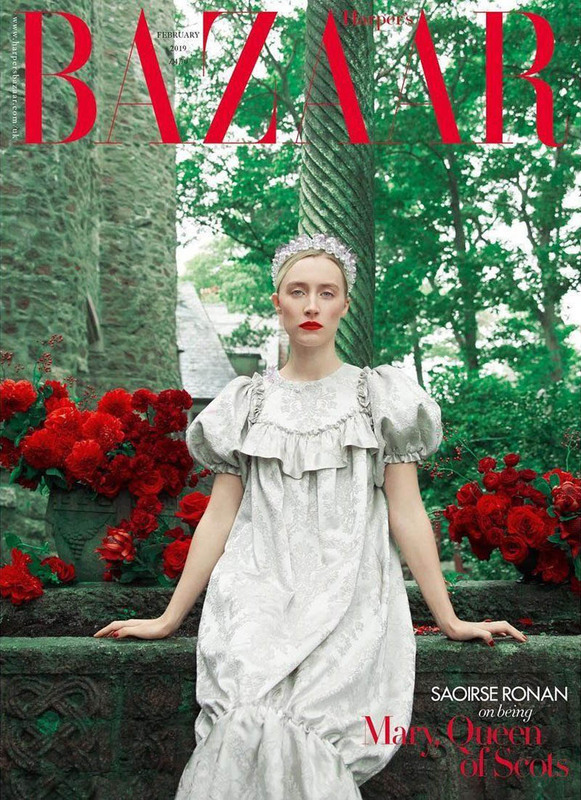 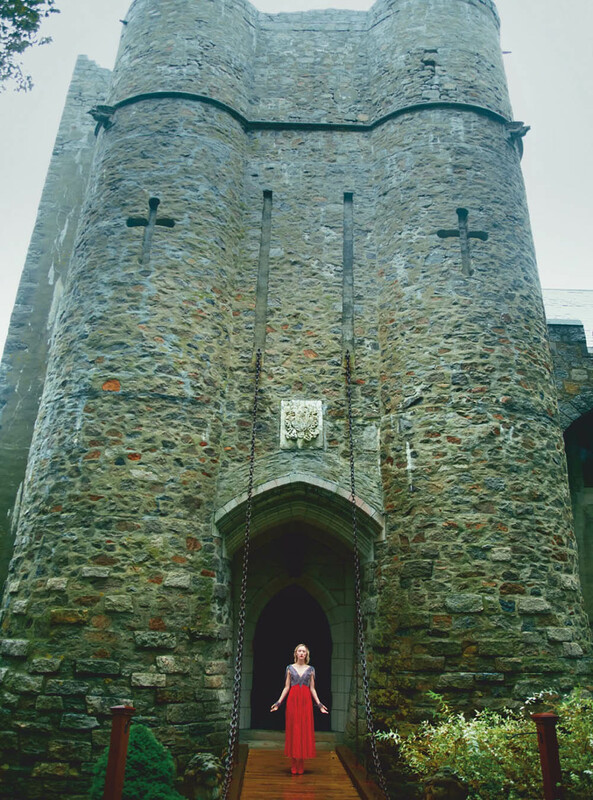 ‘’Mary Queen of Scots’’ star Saoirse Ronan appeared perfectly poised as Harper’s Bazaar UK’s cover girl for their February 2019 issue photographed by Erik Madigan Heck on location at Hammond Castle in Gloucester, England. 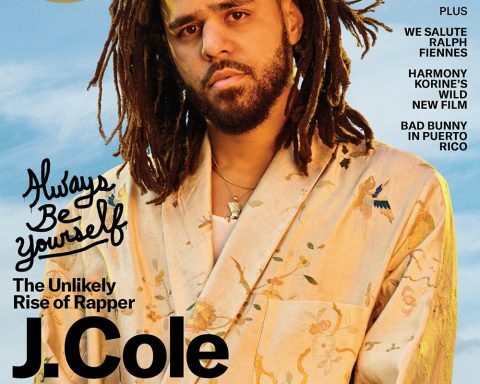 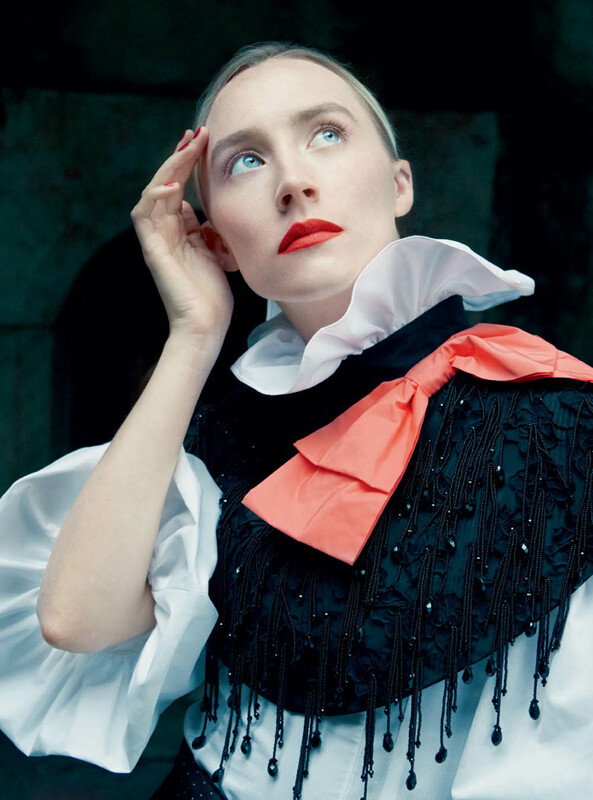 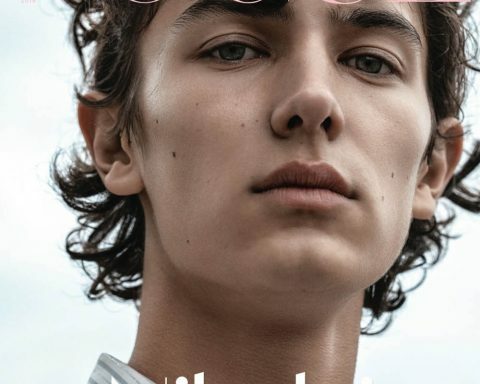 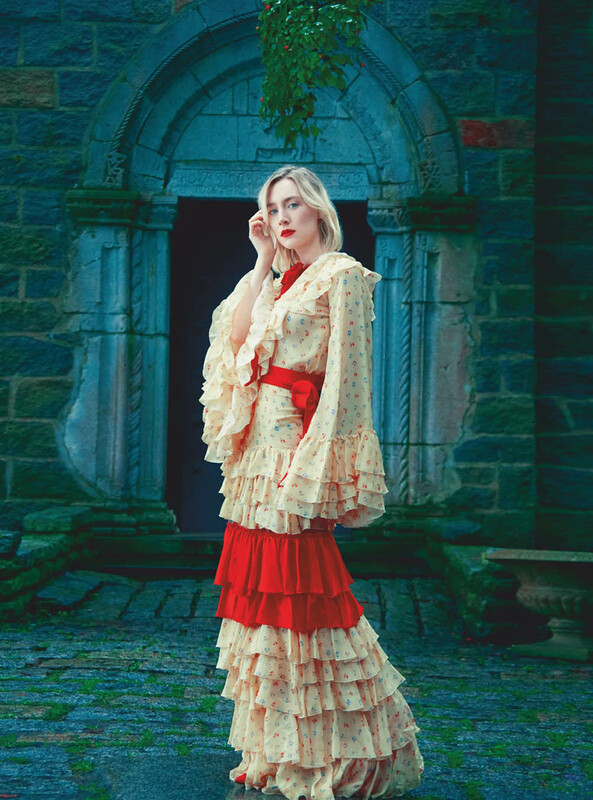 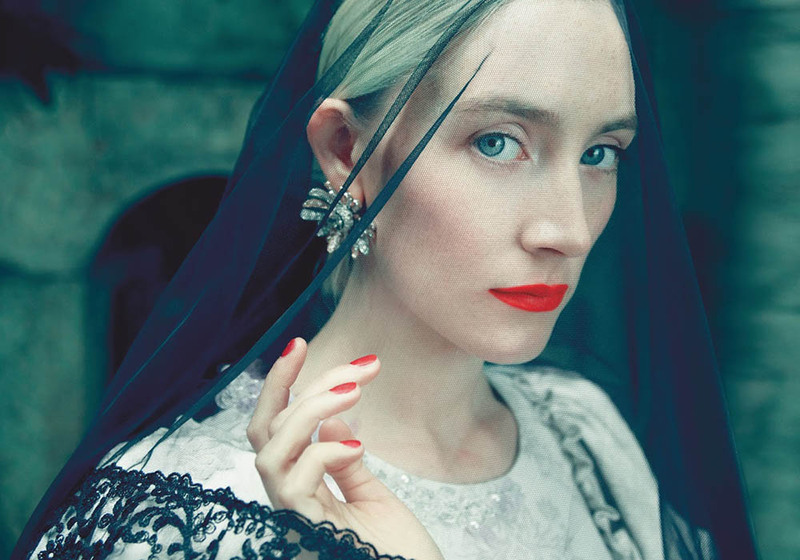 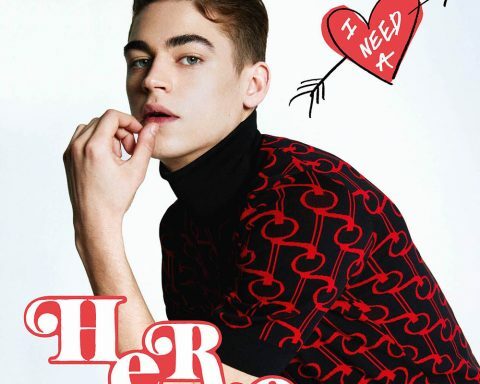 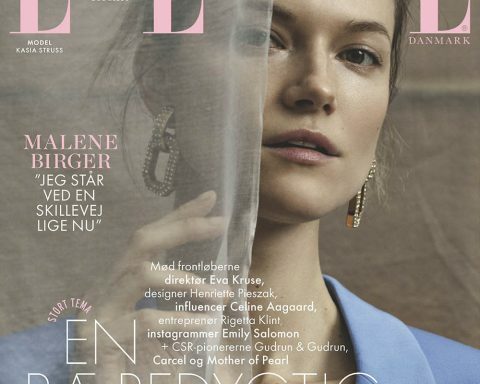 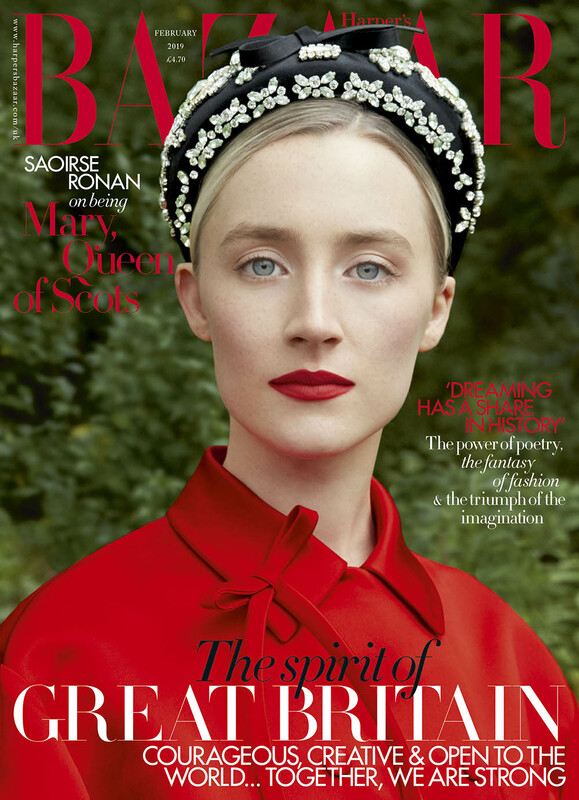 On the newsstand cover (above), Saoirse weared a coat and headband from Prada, the subscribers cover (below) highlighted Simone Rocha dress and headband. 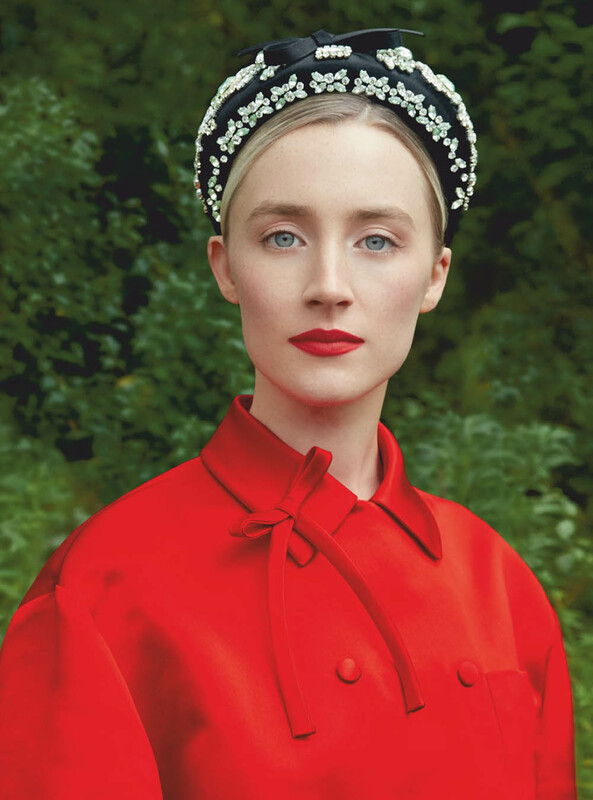 In the cover story named ‘’The Queen & I’’, the Oscar nominee is styled by Leith Clark, with beauty from make-up artist Sam Addington, hair stylist Jordan M. and manicurist Karie Welch.